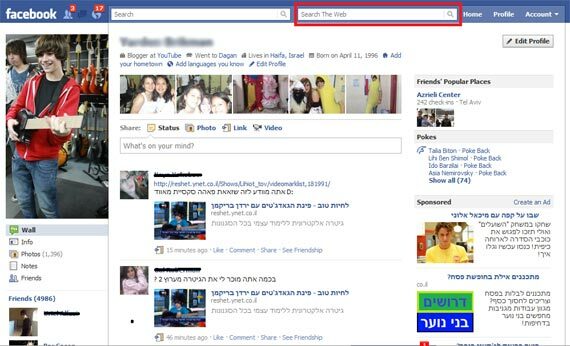 There was an article earlier today on AllFacebookLand, where a user posted about Facebook possibly testing a second search box with a ‘Search the Web’ label. This is not true! Facebook later commented that this may be a third party app or malware. I’d suggest to run some virus or malware scans, if you see this, just to be safe. That being said- it would be immensely interesting to see how a partnership between Facebook and Bing would impact Google’s positions.